Want to publish a book that contains numerous photos? Then Blurb.com might be for you. The site is simple to use and, depending on what sort of book you want to create, will set you back around 20 dollars. You can then sell your book through Blurb.com's bookstore. You set the price and pocket the difference between the cost of manufacture and the sale price. There is also a monthly processing fee. One downside to using Blurb.com is that you can only sell your book from their bookstore, so it won't show up on Amazon, Barnes & Noble, etc. Funny you should post this, Karen, because I am working on a book project that I envisioned as a coffee table book. The pricing has made me change my mind and altered my original plan. Sounds like a wonderful project! I love places with history, places we're connected to. I hope you'll keep me updated on your progress. Anything I can do to help you with publicity, let me know! Interesting project indeed. Digital media has really brought convenience in self publishing. A tool that comes handy to all aspiring authors. Indeed! 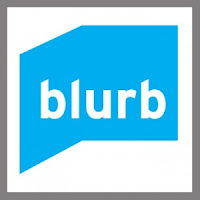 One writer was saying that her young niece used Blurb.com to publish a picture book. That would have been a fun thing to do as a child. Thanks for the comment, Jose!